Spring is my favorite time of the year in the desert because it brings renewal, incredible weather, and outdoor plant color everywhere. Just look around and you will see nature at its best. Trees have new leaves and buds, flowers are blooming in every imaginable color, and the Sonoran desert is alive and vibrant. 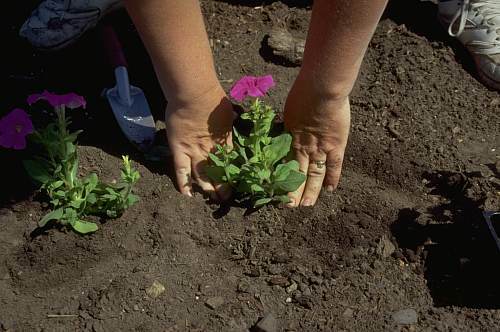 Spring also brings the best weather for planting. So, now is the time to consider how you can improve your home’s landscaping. Is it in the shade or full sun? Is it near a busy street? Is it adjacent to the natural desert? What does the naturally occurring vegetation surrounding the area consist of? Will there be children playing in the area? Is it a large space or a small space? Once these questions have been answered, a plan can be put together to determine what types of plants, trees, irrigation, and other materials should be used. Using the correct plants initially will make for a successful project. When choosing trees look for ones that have tapered trunks rather than trunks that are the same size at the top and bottom. Also, look for trees that have branches and leaves on the lower portion of the trunk. These assist in photosynthesis and help to strengthen the trunk. Plant size should also be considered when choosing to add plants. The area to be planted should be examined to determine what type of plant to use. Plants that require shade will wilt easily when planted in full sun. Plants with thorns or sharp edges work well in large open areas but not next to walkways. Desert plants such as cactus, agaves and aloes require little or no irrigation and can usually survive on rainwater while many shrubs and groundcovers may require supplemental irrigation. Look for healthy plant material of good quality, consider using natural desert vegetation to help reduce water usage, and use materials that complement the area to provide a natural and attractive look. Be patient while your new plants and trees adjust to their environment and grow to their mature size. Enjoy your landscape and happy planting! 1. Preheat your oven to 350 degrees and line a cookie sheet with parchment paper. 2. Roll out tube of crescent rolls on parchment lined cookie sheet, pressing the seams of the dough together to form one large layer of dough. 3. Mix cream cheese, 1/4 cup powdered sugar and and 1/2 teaspoon vanilla extract and spread it along the center of your dough. 4. Cut a few slits in the sides of the dough to make flaps that can be folded over the filling. 5. Sprinkle brown sugar and pecans over the cream cheese. 6. Fold the flaps over the filling to make a “braid” and pinch together any holes along the bottom so the cream cheese doesn’t leak out while it’s baking. 7. Gently form the dough into a ring on the cookie sheet. 8. Bake in the oven for 15 minutes. 9. While cake is baking, mix together the frosting: 3 cups powdered sugar and 1/4 cup water with 1/2 teaspoon vanilla extract. This mixture will be rather thick. 10. When your cake is out of the oven, spread it in a ribbon around the top of the cake, a section at a time. You have to work quick to add your sprinkles before the icing hardens after you put on the icing. 11. The finishing touch is the baby. Slip it under the cake and see who gets to hit the kitchen next to bake up another cake! Copyright ©2017 Sonoran Oasis Landscaping, All rights reserved.